Laing O’Rourke is a privately owned international engineering enterprise, with 164 years of experience. Laing O’Rourke has vast experience in residential, commercial and industrial construction and has successfully completed thousands of projects. Their construction services comprise the full range of building and refurbishment activities, providing a complete project delivery solution. 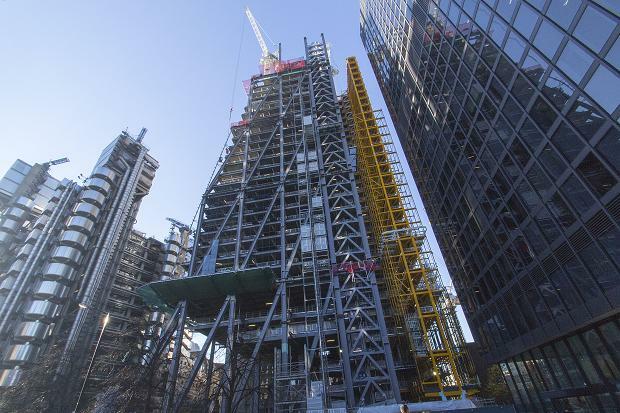 Laing O’Rourke contacted us for a complete asset tracking identification and management solution for the Leadenhall Building project in the city of London. They required an automated tracking and real-time monitor of prefabricated construction assets from manufacture to installation using RFID technology. They wanted to be able to track and identify assets for the building project; from sourcing and tracking the individual components to completion. Assets to be used in the building project were embedded with a tag at the production stage and then identified and managed throughout the project. The asset tracking solution involved a number of different suppliers located in the UK and abroad that contributed the major steel and concrete structural parts for the building. RFID fixed tag readers were located at strategic points within manufacturers processing plants which allowed the progress of each item to be monitored during manufacture (Fabrication, paint-shop, finishing). RFID fixed tag readers were located at the exits to manufacturers sites and at the entrances to the Leadenhall construction site. These fixed readers were drive through portals that detected tagged items on lorries relaying tag reads instantly to a central database server. The system allows automated tracking of components and visualisation through the CAD/BIM model. For more information on AssetBase iD, click here.